Posted By:Unknown | At:1:23 PM Be the first to comment! COLUMBIA, Mo. 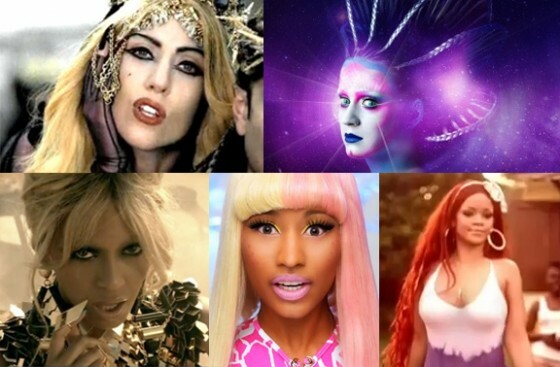 ­— Popular music videos have been criticized as having misogynistic messages and images. While more female music artists have gained visibility and created successful “brands” in recent years, critics argue that many of these artists are pushing the boundaries of acceptable norms with regard to race, gender and sexuality in popular culture. Cynthia Frisby, an associate professor of strategic communication in the University of Missouri School of Journalism, and Jennifer Aubrey, an associate professor in the department of communication in the University of Missouri College of Arts and Science, found an abundance of sexual objectification in music videos featuring female artists. They believe these cases of sexual objectification are concerning because of potential messages it sends to young viewers. In their study, Frisby and Aubrey found that sexual objectification of female artists in music videos existed equally, regardless of the artist’s race. However, they did find that African-American artists tended to wear more sexually provocative attire than other female artists. For their study, Frisby and Aubrey reviewed all “Billboard Top 10” music videos from 2006-2010. They found that out of three main genres of music (country, pop, and hip hop/R&B), female artists in country music videos were the least likely to portray any type of sexuality. They also found that pop music videos were more likely to contain female artists engaging in sexualized dance than hip hop/R&B videos.